The SSD market is literally saturated with competitors, and with SSDs being one of the “must-have” items these days, it’s easier to get overwhelmed with trying to decide which make/model of SSD to go with in your system. Many people initially approach this from a pure cost standpoint, which is has been a common approach when shopping for HDD’s in the past. Unfortunately, this approach can be dangerous when applied to shopping for your first/next SSD, as cheaper more than likely guarantees you end up with an inferior drive as it relates to performance, compatibility, and endurance. So what’s the safest general approach? Avoiding a lengthy write up, you’re safest approach is to look to companies that have been successful in the memory market. Since SSD’s leverage memory technology, over spinning platters, it stands to reason that memory companies have initially more experience. 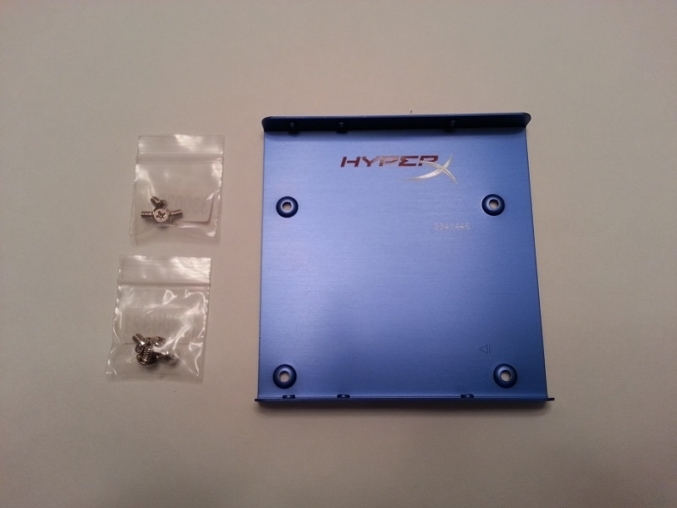 With that said, we will be taking a look at Kingston’s HyperX 3K 240GB SSD in this review. 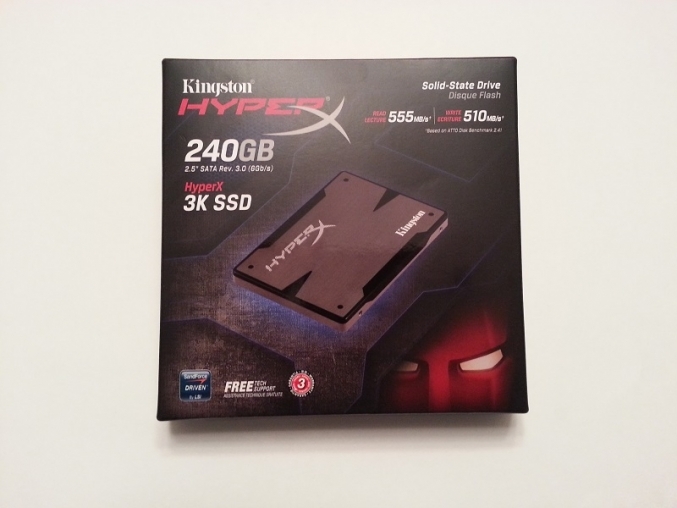 Although this drive has been in the market for some time now, the HyperX 3K 240GB SSD is still Kingston’s current “enthusiast” or flagship SSD in the consumer market. So does how well does it perform? Let’s kick the tires and find out. 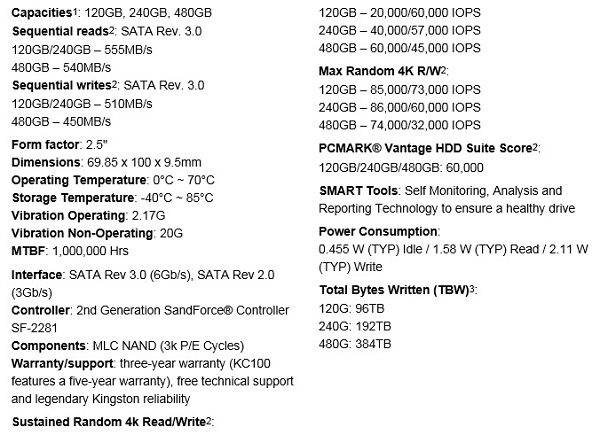 Looking at the available technical specifications, the only item missing is the detail on the 3K 25nm Intel MLC NAND flash. This NAND flash is endurance rated for 3,000 program/erase (or P/E) cycles. 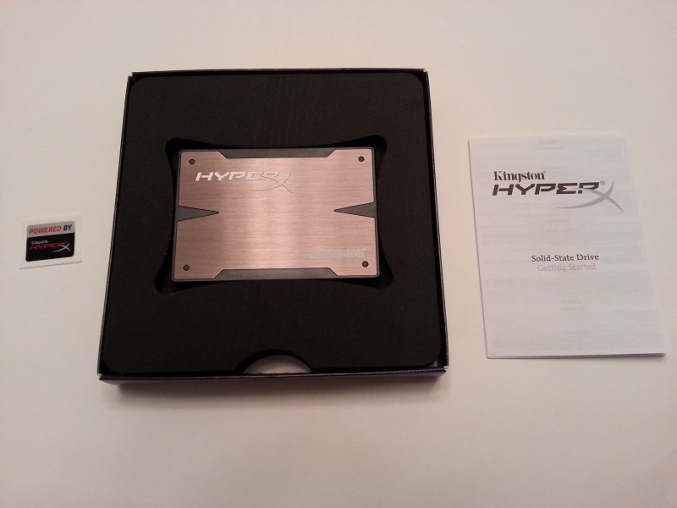 The packaging for the Kingston HyperX 3K 240GB SSD is pretty straight forward. Inside the foam insert is more than capable of protecting the drive in transit. Once opened the contents are as follows.